Adhyatma Prakasha Karyalaya is very happy to place in the hands of the readers the Commemoration Volume of the Vidvadqosthi, which was held for three days on march 5, 6 and 7, 2011 at Holenarasipura. The Gosthi itself was an extremely important event in the history of the Karyalaya. 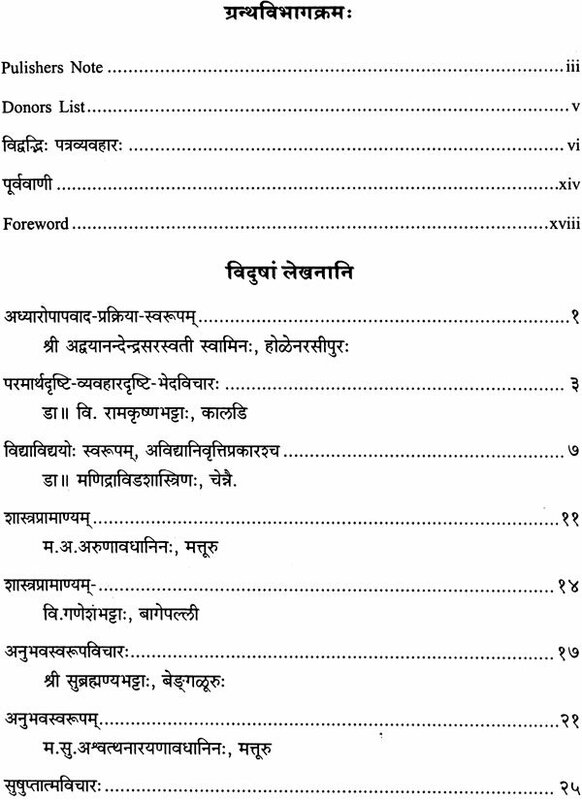 During the decade of 1960, the Founder of the Karyalaya, Sri Swami Satchidanandendra Saraswathi, had invited many of the renowned Vedantins at that time to respond by writing in Sanskrit, to some of his searching questions relating to the concept of Avidya, Maya, and the nature of Pratibhasika vastu, according to Sankara Vedanta. 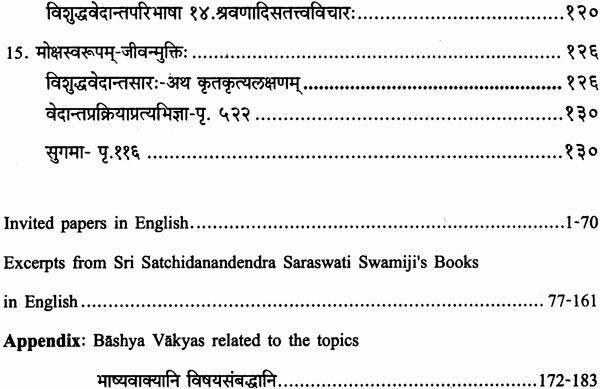 The Karyalaya had published a book by name Vedantins Meet, containing the responses received along with Sri Swamiji's interpretation of the Bhashya, in Sanskrit and English. During the last century, Sri Swamiji devoted his life time to recover and propagate the Sankara Vedanta in its pristine pure form, and the Vedantins Meet that he had planned was one significant event towards that objective. It must be said here that his attempts did not meet with the desired success as most of the Vedantins were following the Vyakhyana prasthanas and they did not appreciate the need for directly going to the Bhashyas, They continued to understand the Bhashyas in the light of the sub-commentaries like Bhamati and Vivarana, which according to Sri Swamiji had several fundamental deviations from the Bhashyas of Sri Sankara. The Vidvadgosthi that was organized recently had this difference that several traditionally trained advaita vedantins were invited to participate in the Gosthi and present their interpretation of the Bhashyas on a pre-assigned topic. The participants in the Gosthi would then discuss in depth with a view to bring out concurrence or differences in the interpretation of the Bhashyas. 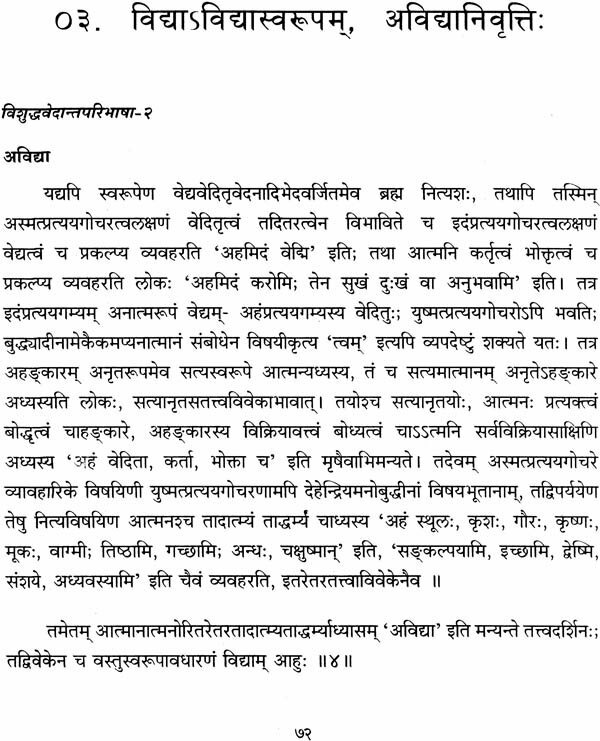 The Vidvans were also requested to submit papers in Sanskrit. The Gosthi was held in a very cordial manner and was a success in a general sense. However, the discussions during the Gosthi brought out the deep rooted difference in the way of nterpreting and understanding of the Bhashyas. These differences, however, had been brought to light by Sri Swamiji himself during the last century. 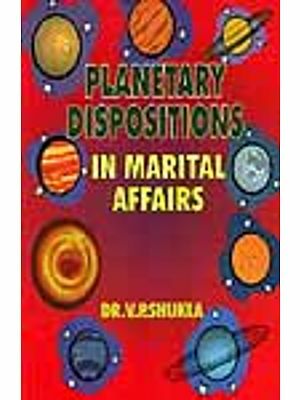 Some of these differences that came to light again during the Gosthi, are presented by the editors in this Volume. The papers written in Sanskrit by the Vidvans are printed here without any modifications. The editors had also invited several advaita vedantins from India and abroad, to write papers for the Volume in English on the same topics that were discussed In the Gosthi. A number of them sent their papers and this has enhanced the value and usefulness of the Volume. 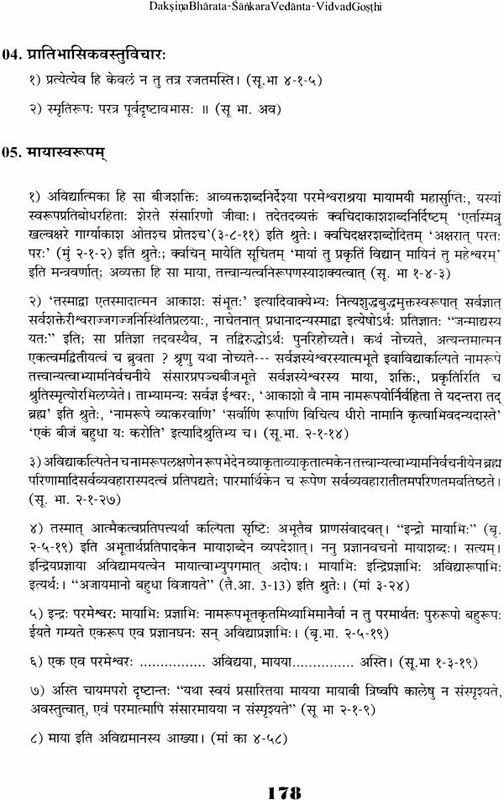 These papers also have been printed without any modifications except for attempting to bring in uniformity in the transliteration of Sanskrit words in English by affixing diacritical marks. The editors have chosen to include in this Volume excerpts from the Books written by Sri Swamiji in Sanskrit and in English. These excerpts on the very same topics selected for the Gosthi will surely help the writers of papers and all the readers to compare and confirm for them the correct way of interpreting the Bhashyas. A number of relevant Bhashyas vakyas on various topics is also provided at the end. Considering the great interest in the advaita Vedanta of Sri Sankara being shown in the various Universities across the Globe and by individual scholars, sadhakas and mumukshus, young and old, as is evident in the various discussion groups over the intern et, it is our fond hope that the present volume would be of benefit to them all. The Karyalaya expresses its profound gratitude to all the vidvans who participated in the Gosthi and all the authors of papers. A deep sense of gratitude is also due to the editors of the Volume, the saints, scholars, Brahmacharis, devotees and all those who have rendered selfless service in organizing and conducting the Gosthi and in bringing up this Commemoration Volume. A special word of thanks is also due to the various donors for their munificent donation and to the type setter Sri Ramaprakasha Karanth of Satchidananda Graphics and Sri Ganesh Maruthi Printers for a job done well. It is a matter of great happiness to us that many Vedantic Scholars sent their views whole heartedly through their articles on the topics we suggested and as we requested them to. We too published all of them as they are without making any changes whatsoever. In the Vedantins Meet too which was organised with an intention to ascertain the pure method of teaching of Shri Sankaracarya, there were many participant Vedantic scholars who expressed their views. The topics which were presented for discussion by various scholars- were also the topics that are dealt with in the articles. It is obvious that the various views expressed there belongs to those respectable scholars and we are not responsible to their personal views in any way except correcting the spelling mistakes by way of proof reading; we request the readers to note this. However we were constrained to delete a certain portion of a single honourable scholar. 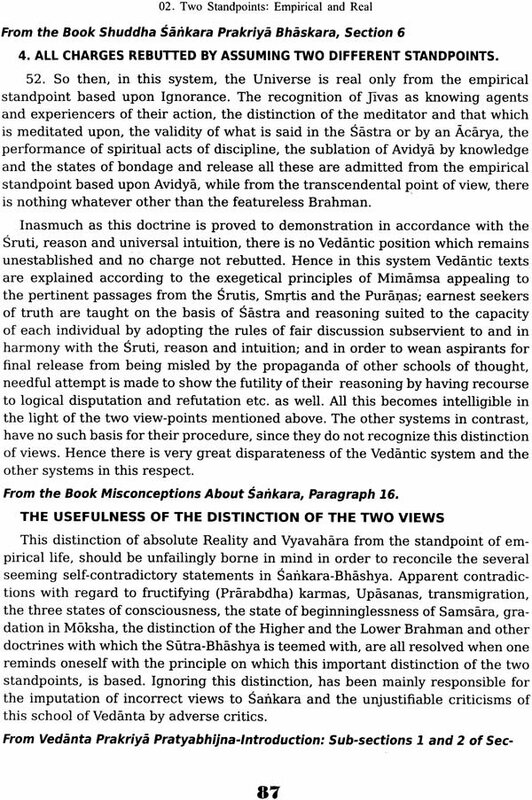 Although we have requested them to confine their four page article to the views of Sankaracarya alone, honourable Shri Hittalahalli Suryanarayana made his essay run for seven pages out of which three pages contained only sholkas quoted from Manasollasa (which-is nothing to do with Shri Sankara's). We have deleted helplessly those additional three pages with a pain in our heart and we plead for Shri Shastri's forgiveness. 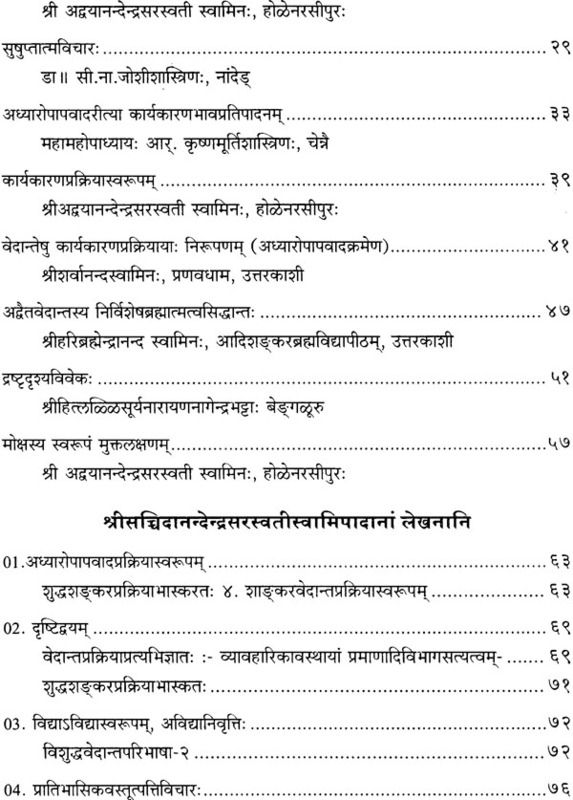 Around fourteen essays in Sanskrit are included in this volume and many in English find place in it. 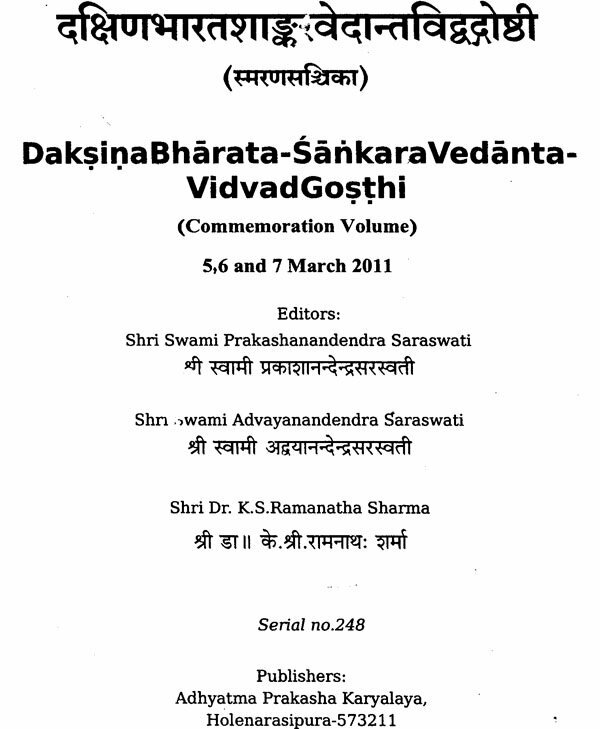 Moreover Shri Satchidanandendra Saraswathi Swamiji articles are appended at the end. They are included in order to show in what respect the views of each scholar agree or disagree with those of Shri Sankara even this is for unprejudiced readers and the seekers of truth, and not for those scholars who style themselves to be the knowers of truth. 1. The cause of the world should be accepted as Brahman with Maya (Saguna Brahman) and not as Nirquna Brahman. This is what is conveyed by the janmadi Sutra 1.1.2., insisted the revered Vidvans. 2. Considering avyakrta, also called by the name Maya, as an effect (karya) is not appropriate. 3. 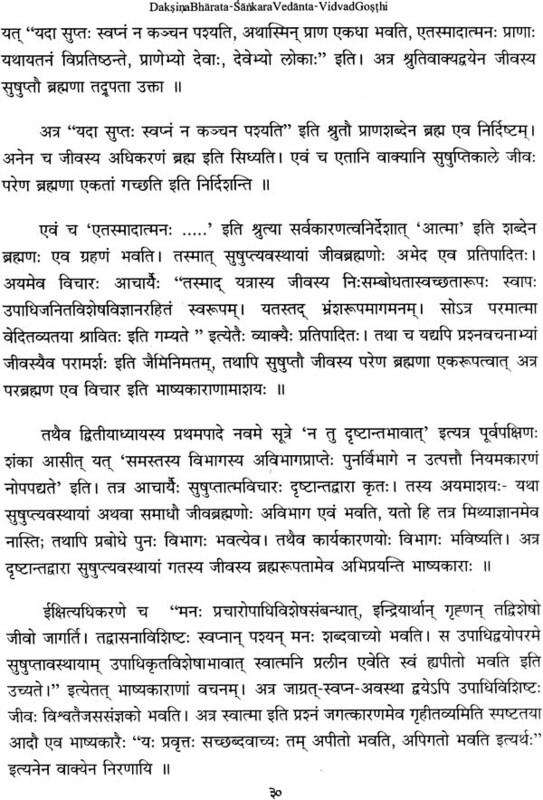 In the Sruti statement atmana akasah sambhutah (Tai. 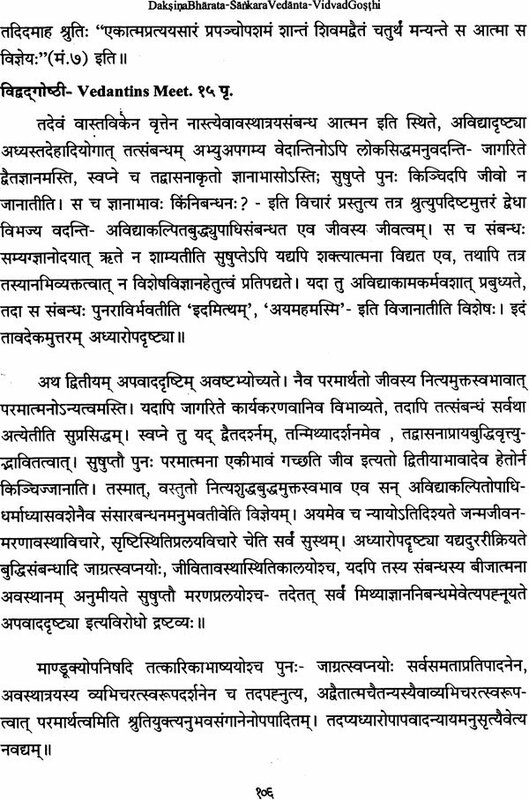 ), giving a secondary meaning (gaunartha) to the word sambhutah would not be appropriate. 4. The words avidya and Maya have the same meaning. 5. Even for adhyasa (superimposition), avidya, synonymous with Maya, is accepted as the cause. 6. Adhyasa is not an object of Witnessing Atman (sakshi), they insisted. 7. In the compound word mithyajnananimittah, the word nimitta (cause) is stated to mean upadana (material cause). 8. 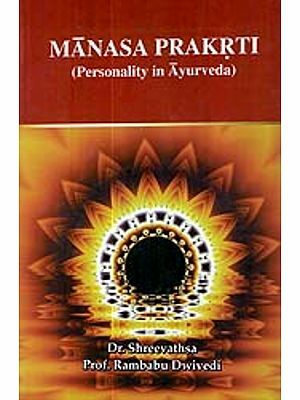 Sakshyanubhava can not be considered to be a pramana. 9. The 'form' of the deep sleep state (sushuptyavastharupah also is some form of vrtti of the mind. 10. The so called memory during waking that 'I was not aware of anything during deep sleep' is in fact memory only and not bhrama (false/erroneous impression). 11. The word vikalpa does not have the same meaning as bhrama. 12. By merely negating the superimposition (adhyasa-nirakarana-matrena) true knowledge is not produced, but knowledge of Atman also is required (yet to be attained). 1.If it is insisted that Maya-shabala-brahma only is the cause of the world and not nirquna Brahman, then the matter, opponents view, conclusion (siddhanta) etc., in respect of the Sutra 2.1.4 'vilakshanatvadasya tathatvam ca sabdat' will not be fulfilled. Because, it is here indeed that the opponents view 'in case the sentient, featureless (Nirquna, sabdadihinam) Brahman is the cause of the world' is presented. For the same reason, even the conclusion cannot be established. 2. It is consistent to say that avyakrta, also represented as maya is karya. Because, in the Bhashya for the Mundaka mantra 'tapasa ciyate brahma tatonnamabhijayate' it is clearly written that avyakrta is karya. Even the Lord has said that avyakta is kshetra in the sloka mahabhutanyahamkaro buddhiravyaktameva ca' in the kshetradhyaya. It is obvious that all kshetra is karya only. 3. the Sruti statement Atmana akashah sambhutah, only a secondary meaning is to be accepted. Because, the Bhashyakara himself has stated in Ma.Ka.Bha.3.23: For the objection that 'of the two possible meanings-primary and secondary-it is reasonable to understand a word in its primary sense' he says-'not so, for we have said earlier that creation in any other sense is not recognized'. That the change- .less Brahman takes birth in the form of akasha etc., is unreasonable. Therefore, the Srutis that talk of creation have to be interpreted as propounding the unity of Atman. 4. Avidya and Maya do not have the same meanining because: In Br.Bha.1.5.2 it is said that "This entire manifest and un-manifest world ... is due to avidya". In Su.Bha.2.1.14 - "Name and form which constitute the seed of the world, and which are conjured up by ignorance, are, as it were, on-different from the omniscient Lord, ... are mentioned in Srutis and Smrtis as ... Maya, power, Nature etc." Therefore, it is no where written in the Prasthanatraya Bhashyas that Maya is the cause of adhyasa. That it is conjured up by avidya, meaning conjured by adhyasa is written in many places. Also, in the matter pertaining to the Self, no avidya other than adhyasa holds because, adhyasa is in play simultaneously with the thought/statement I do not no myself. Without adhyasa it is not even possible for anyone to think/say 'I exist' adhyasa has its play at the root of 'ahamkara'. Therefore, other than removing of adhyasa, no other emergence of Jnana can be imagined. Other than the superimposition of body, senses, mind, intellect and life force (prana), no other adhyasa manifests during human transaction. The superimposition of the form of identification with these adjuncts is jivabhava. It is this identification that is the cause of all superimpositions. This is what is said by Sri Gaudapadacarya in the karika ''jivam kalpayate purvam" (2.16). Therefore it may be understood that those who say that Self knowledge is not attained by the removal of this adhyasa, have distanced themselves from the Bhashyakara. 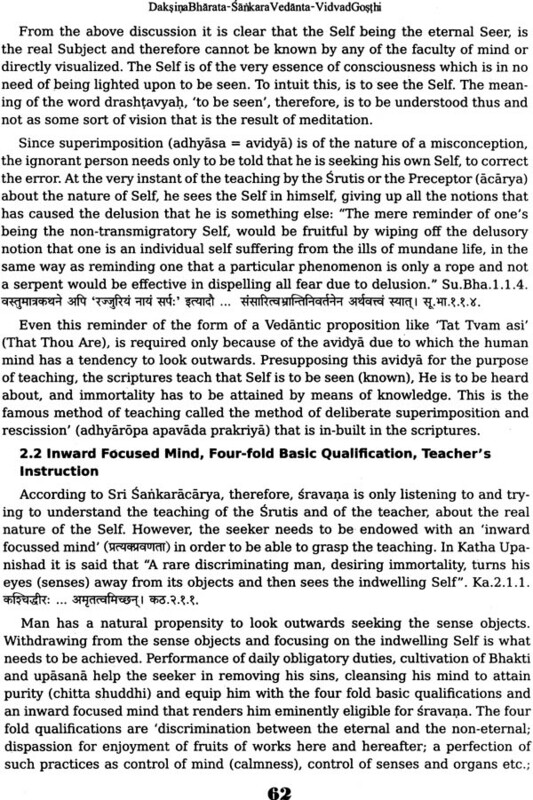 Self knowledge necessarily is produced on the removal of this superimposition of jivatva. 5. For the same reason Avidya-Maya, cannot be accepted as the cause of adhyasa. 6. The statement that ajnana is not an object for the Self is too improper. In the face of unambiguous statements in the Bhashyas- "bhavatyajno mugdhahastvevam darshi tam jnam amugdham pratijanimahe" (Br.4.4.6), "vidyavidyayoh taddharmatvam iti cet; na; pratyakshatvat: vivekau vivekau rupadivat pratyakskau upalabhyete antahkaranasthau; ... avidya svanubhavena nirupyate"; "mudhoham aviviktam mama vijnanam ... " (Tai.2.8), it is too daring to say that ajnana is not an object for the Self. 7. The statement that the word nimitta (cause) has been used to mean upadana (material cause) is only to propound their own theory and does not conform to the opinion of Sankara. No where in the Prasthana traya Bhashays the words nimitta and upadana are taught to have a common meaning. Therefore this only an exercise to propagate ones own theory and not according to the Sastra, Bhashya or reason. 8. To assert that Sakshyanubhava is not a pramana is clearly against anubhava as well as Bhashyas. 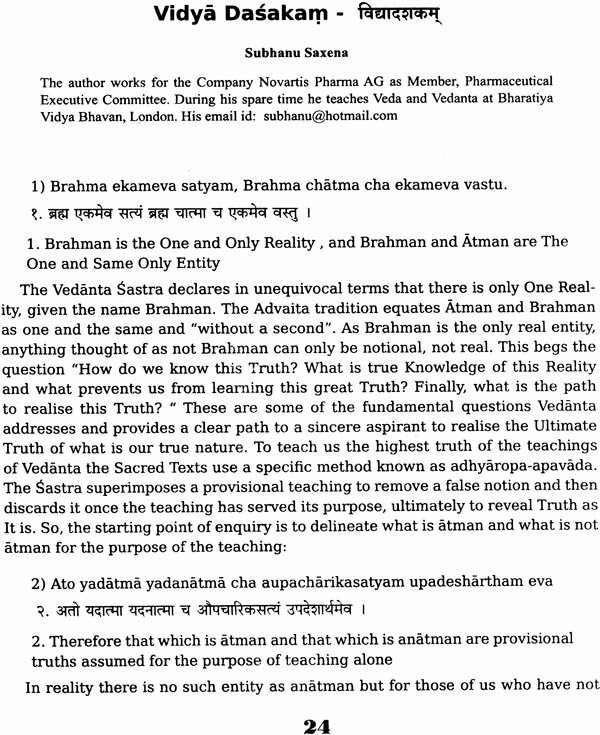 The Bhashya for "Ayamatma sarvanubhuriti'' (Br.2.5.19) it is stated that "Sarvatmana sarvam anubhavati". Therefore it has to be accepted that by His Grace only the discriminating knowledge is born in the mind. The same idea is confirmed in the Gitabhashya for 9.20: "avagatinishtha avagatyavasadnaiveti". 9. The assertion that deep sleep, sushupti, is some kind of vrtti of the mind, is against Bhashyas and experience. In the statements "Sushuptikale ea parena Brahmana jivah ekatam gacchati" (Su.Bha.1.4.18), " ... upadhyupashame yah uparamah sal). paramatmana sambandhah ... upacaryate" (Su.Bha. 3.2.34), "ayam tu (jivah) svena sarvatmana samparishvaktah svena parena prajfienatmana ... tena na prthaktvena vyavasthitani karanani vishayasca. 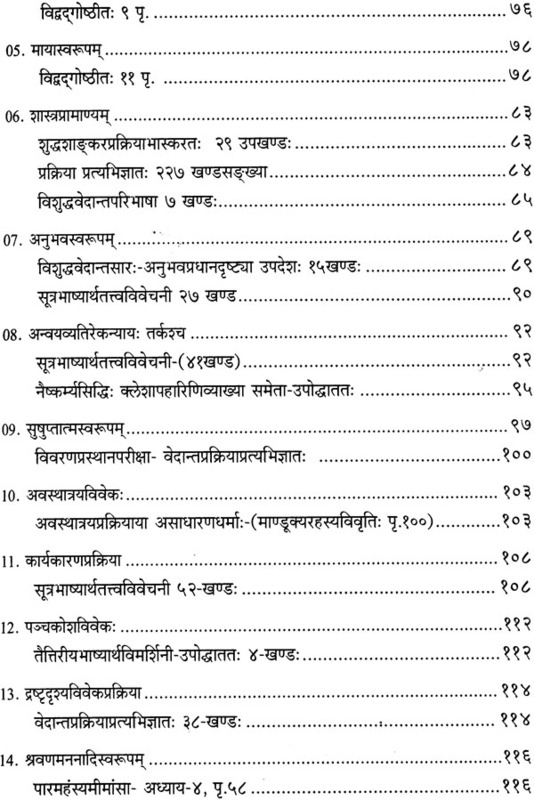 Tadabhavat viseshadarshanam nasti" iti (Br.Bha. 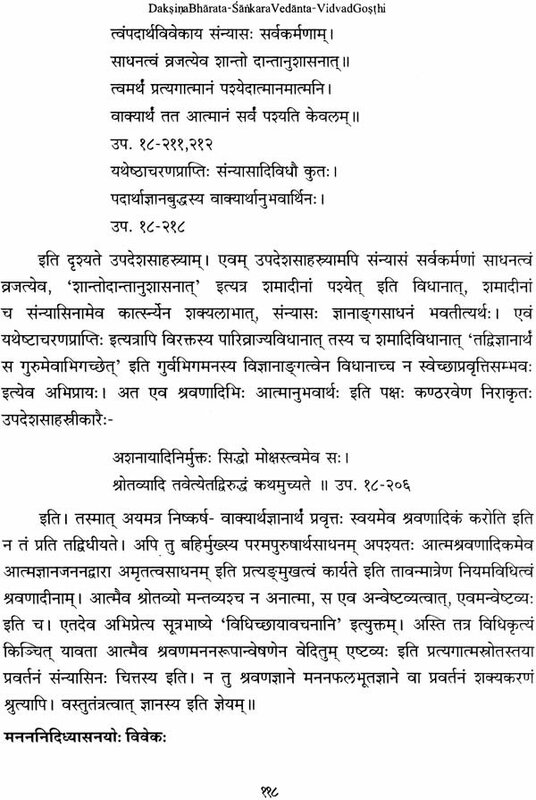 4.3.23), Bhashyakara has clearly rejected vrttirupa for the sushupta. 10. To state that the 'memory' of deep sleep while waking is actually memory only, is not proper. Because, memory necessarily implies common frames of space and time and a common empirical knower. What people remember during waking is only an erroneous impression (vikalpamatra) and is said in comparison with the waking view. 11. The words vikalpa and bhrama have same meaning. Such an usage may be seen in the Caudapadiya karikabhashya: 1.28, 2.17, 2.18, 2.19, etc., where the word vikalpa has been used to mean bhrama. 12. Removal of adhyasa, superimposition, may not remove ignorance only in the case of objects that are non-self (anatmavastu), However, in the case of Self, by negating the superimposition that one is a jiva (jivatvadhyasa), all superimpositions are removed. Therefore, nothing remains to be done other than removing the jivatvadhyasa. In the above manner, several topics were discussed in the Vidvadgosthi but unity of opinion did not emerge among the vidvans. 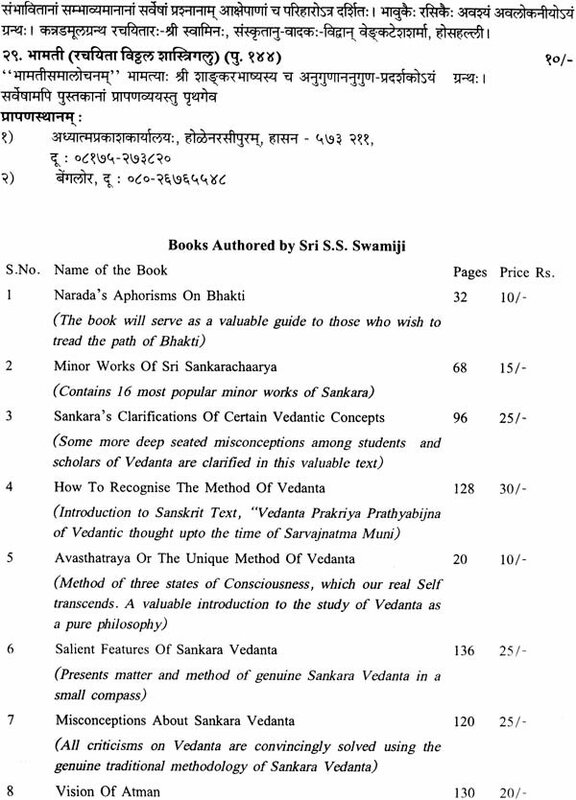 Therefore the readers are requested to peruse the writings of Sri Satchidanandendra Saraswathi Swamiji on various topics appended to this Volume, along with the papers of the distinguished vidvans. Discussion with the knowers of truth corrects ones misunderstanding, gives rise to new understanding and also clears many doubts. Hence it is recommended by the learned. With the same intention this Vedantins meet was organised and articles were sought. We feel immensely fortunate to collect the views of the Vedantic scholars compile and edit them in this volume. Therefore we express our heartfelt congratulations along with the Lord Narayana Smaranams to those who cooperated with us by sending their essays. At the end we hope confidently that the people of discrimination would compare their own essays with the writings of Shri Swamiji appended at the end and would become devoted to the tradition shown by Shri Sankara Bhaqavatpada, Swami Advayanandendra Saraswathi.